The Pelham bit features both elements of a curb bit and a snaffle bit. It features a ring on either side of the mouth piece like a regular snaffle, but also features a ring at the bottom of the shank. The Pelham bit features both elements of a curb bit and a snaffle bit. 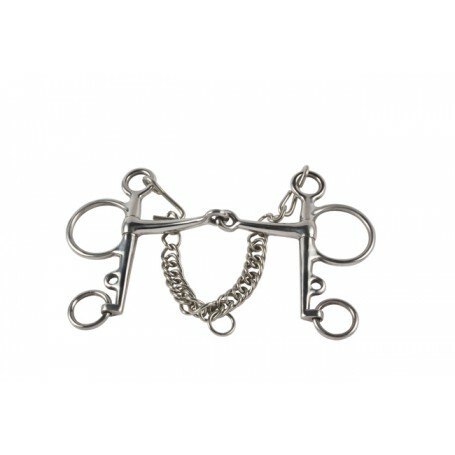 It features a ring on either side of the mouth piece like a regular snaffle, but also features a ring at the bottom of the shank. 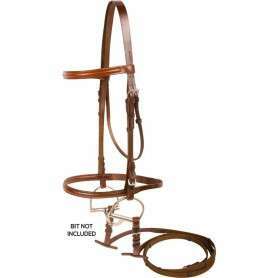 Pelham bits are most commonly used with “double” reins and will apply some pressure at the poll.